Photo taken at Laguna Seca Ranch in South Texas April 5, 2019. Nikon D850, Nikon 300mm f/2.8, Nikon 1.4 TC, 1/640 sec at f/5.6, ISO 800. 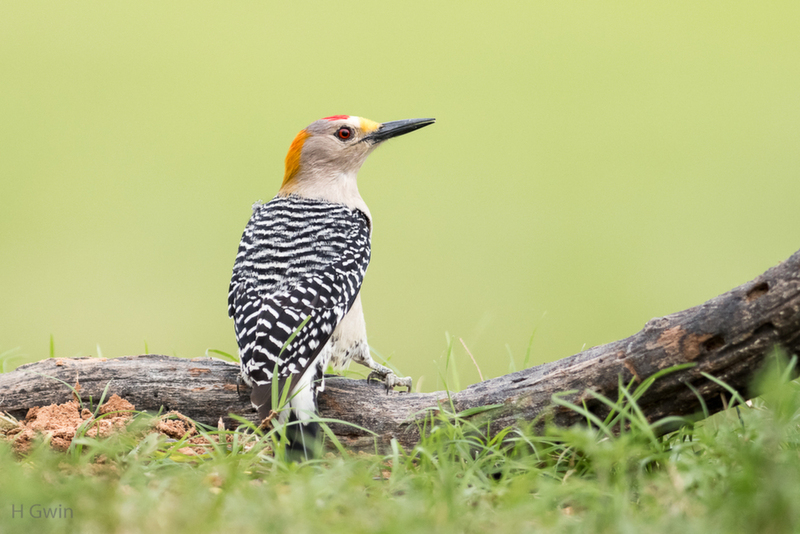 A real nice look at this Golden Fronted Woodpecker. This is a species with which I am not familiar. Nice color, detail, and background. Amazing image, the low angle e the background it's fantastic, very well ligth. Perfect looking back pose. The grass, unlike here, is growing already. Excellent presentation of the Golden-fronted Woodpecker, Gene. The pose and background make the image for me. Love the head turn and I really like the setting. Beautiful bird, great capture with sweet detail and colours - and the head turn gives a wonderful view of that golden eye, Gene. Nice BG is go with this guy... a nice head turn.